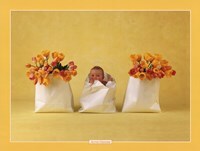 Anne Geddes (Born 1956) is a photographer who works and lives in North Queensland, Australia. She started experimenting with photography in the early 1980s and this is also the time she started to adapt her current direction, some time around 1986. Anne’s style has helped make her a renowned photographer the world over. 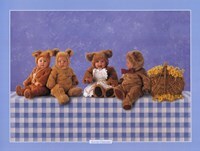 She often photographs children and babies, often portraying them as flowers, fairytale creatures or animals. She has two daughters and is currently married to Kel Geddes. The two daughters Kelly and Stephanie are a great source of inspiration to her. When Anne was a child, she was very attracted to the stories of May Gibbs, who a popular author of children’s books which feature many images. Anne is a self-aught photographer. She taught herself through the creation of her own personal style – a style which she developed from a unique technique to an art form. While she was living in Hong Kong with her husband, Anne took professional photos and started a small business that dealt with portraiture of small children and babies that belonged to her acquaintances and neighbors. After the family returned to Australia, the photographer started producing holiday photographic cards for her friends and family. The reception was overwhelming and this led to her to launch a customized greeting card business. Anne started a studio in 1988 upon relocating to Auckland, New Zealand. 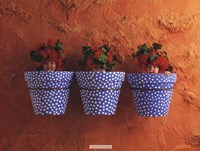 Her style is based on depicting the character and personality of children in a more natural way through her photography. Anne once said that she did not think it made sense to pose children in unnatural situations.